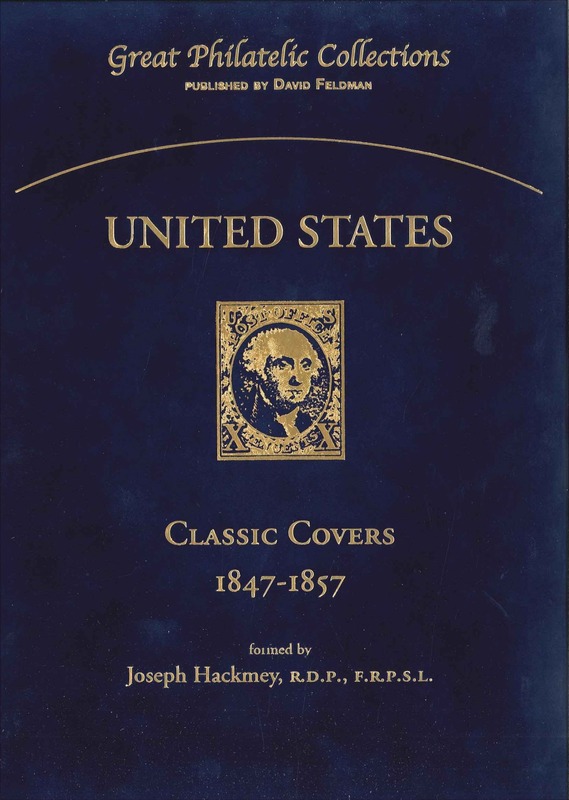 1847 & 1851-57 Classic Issues on Cover formed by Joseph Hackmey, R.D.P., FRPSL. 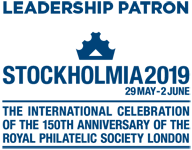 The last few decades have seen the dispersal of many great collections of USA classic stamps and covers, from those of Ishikawa, Kapiloff, Grunin and Zoellner, to those of Kramer, Mayer, Tito and Craveri. 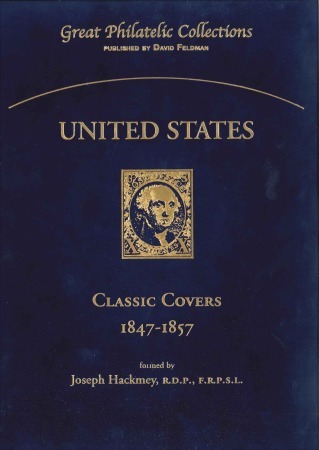 Mr. Hackmey was fortunate to be able to purchase extensively – and discretely – from the “best of the best” available, and most pages of his exhibit indicate the relative rarity of the covers he acquired: “only known,” “earliest known,” “one of two known” and the like. His exhibit collection is not to be equalled with all of the other material on the market today; it is truly a monument to Mr. Hackmey’s dedication, persistence and philatelic knowledge thatone exhibit could demonstrate so many aspects of the use of these issues, and to do so using the premier showpieces extant. For example, the USA/Canada mixed franking cover shown onpage 70 (top), ex Gibson and Ishikawa, is widely considered the finest 1847 issue cover in existence. This, and the only other USA/Canada mixed franking cover (page 73, top) demonstrate what theentire exhibit makes clear: this can be considered the finest USA classic postal history collection ever assembled from the standpoints of rarity and importance. Mr. Hackmey’s annotations show he has researched and unravelled the complexities of the rates, both domestic and to foreign countries, that rapidly evolved in the period. His work can thus serve as a model for those engaged in similar exhibit pursuits.